Here For The Cover-Up Challenge Invitational? 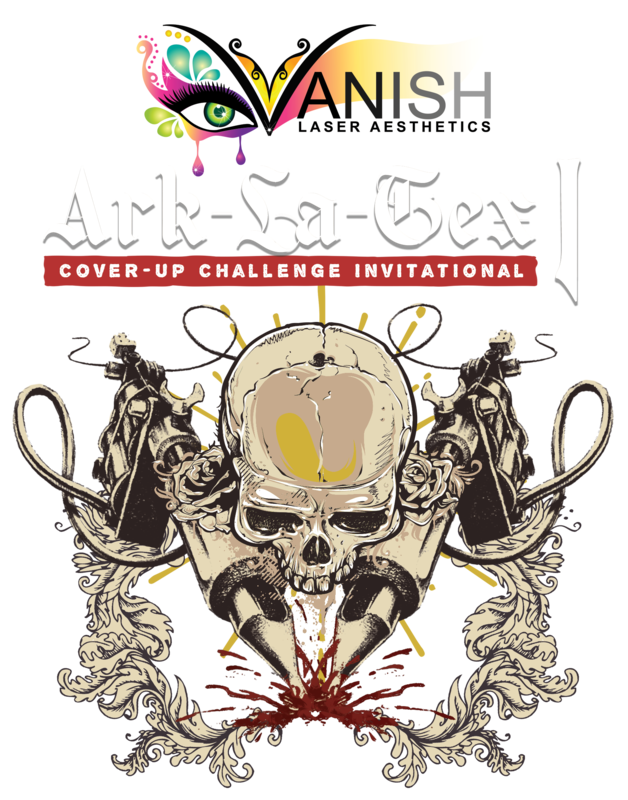 Vanish is hosting the first annual Cover-Up Challenge Invitational. Click the button below to find out more. Vanish Is Now Offering Care Credit! Want to Learn More About Laser Tattoo Removal? At Vanish Laser Aesthetics, our technicians are experts when it comes to anything regarding laser tattoo removal. Learn more about the laser tattoo removal process below. You can use our online booking software to set up an appointment or you can simply give us a call and we can get you scheduled for the earliest opening avaiable. At Vanish Laser Aesthetics we understand that it can be intimidating getting a tattoo removed. However, we are here to answer all your questions. If you don’t see your question call us! Welcome to Vanish Laser Aesthetics. We make removal of tattoos fast, safe and affordable! Located at 911 W Loop 281 #207 in Longview, TX and at 1405 S. Fleishel #330 in Tyler, TX – we are East Texas’ first dedicated laser tattoo removal clinic. We are NOT a med-spa or cosmetic boutique who offer a plethora of services. We are NOT a jack of all trades and a master of none. We ARE a no-nonsense laser tattoo removal clinic that delivers results! We specialize strictly in laser tattoo removal and strive to understand each of our clients’ unique needs and desires. Whether you’re looking to have your tattoo completely removed or faded for a new cover-up, we’re here to help! Our team is medically directed and highly trained as certified Laser Tattoo Removal Specialists (L.T.R.S.) and Laser Safety Officers (L.S.O.). We Only Use The Best, Quanta’s EVO Q-Plus. 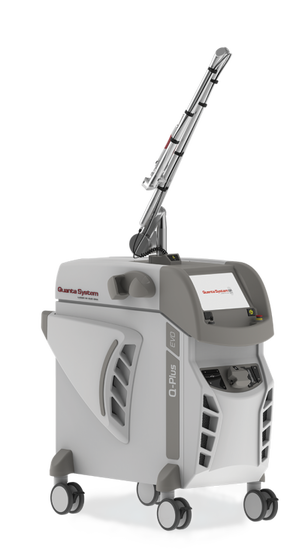 The EVO – Q Plus is the newest technology released from Quanta, the world’s premier laser manufacturer. Q-Plus C’s short pulse wavelengths create a highly concentrated photo-acoustic impact that shatters ink into tiny particles, which is why is known as the highest performing laser in the industry. Being the only laser available on the market that works in 3 different wave lengths, the EVO – Q PLus can remove tattoos of all colors quicker and safer than any other laser. Optibeam technology efficiently distributes energy across the beam making it the most efficient laser available. 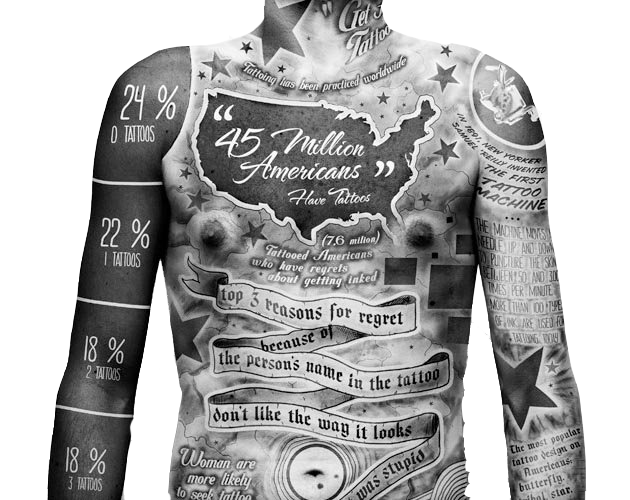 Due to cultural acceptance and trends, it is estimated that over 40 million Americans now possess tattoos. An increase in tattoos has resulted in an increase in demand for tattoo removal. Research shows that 12% of those with tattoos want them removed and another 8% want existing tattoos covered up. Factors such as tattoo regret, lifestyle changes, an increasingly competitive job market, military and law enforcement requirements, and desire to replace existing art have accelerated the need for tattooed individuals to seek tattoo removal and lightening. of Mississippi Medical Center, Jackson, MS.
and fishing. But most of all, he enjoys spending time with his wife and kids. Pricing is unique to each patient and is dependent upon the patient’s Fitzpatrick skin type, which is the standard for clinically categorizing skin types into six classes, along with information gathered during free consultation.